At first sight elevators don't seem so different to each other. All get you up and down in larger buildings and it is annoying for everyone to wait for them. However at closer look, there are several main types of elevators. The most popular elevator companies are Schindler or Thyssen Krupp. You might know these elevators from smaller buildings. It's the one elevator you are waiting on and takes a long time coming down from the 5th floor. Kisi's opinion: Mostly as a tenant in a building you can't change the elevator. Keep a close look at how that elevator is operated - does it lock after hours? Who gets keys and how many? What are operations processes during busy hours? If you are located in a larger building, you likely have an elevator bank. That avoids you having to wait a too long time for the elevator since there are multiple. 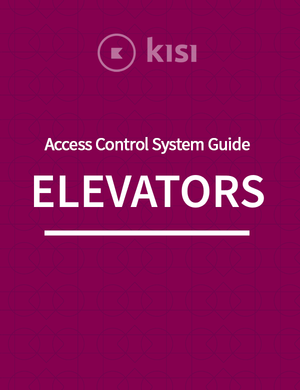 Kisi's opinion: Pay close attention to how these elevators are called: Can they be called individually - that will create a lot of chaos. If you have a destination dispatch system, you'd type in the floor you are going to and the system calls the logistically fastest elevator for you. Those systems are typically very expensive though. The elevator is public in the sense that anyone can get an elevator by pressing the call button. However once inside the car, passengers will need to do a card read, which will allow them access to particular floors. This setup will typically have a call button in the lobby as shown below. The elevator access control groups program which specific floors to unlock based on the presented credential, and also defineshow long the buttons can be pressed after the card has been presented, e.g. 10 seconds. This is the opposite of the case above. Only a passenger with verified credentials will be able to call for the elevator. Once in the elevator, one will be able to select any floor to access. This setup has a reader in the lobby (as opposed to a call button) which allows cardholders to call a private elevator. This is a combination of the two configurations and has added security. Not only will a passenger require a card read to call the elevator, he will also need to do a card read once in the elevator, and only has access to particular floors which his credentials has allowed for. In addition to having a reader in the lobby, the setup requires a reader in the car. When a traditional DCS is used, the calls are given only from the Destination Operating Panel (DOP). 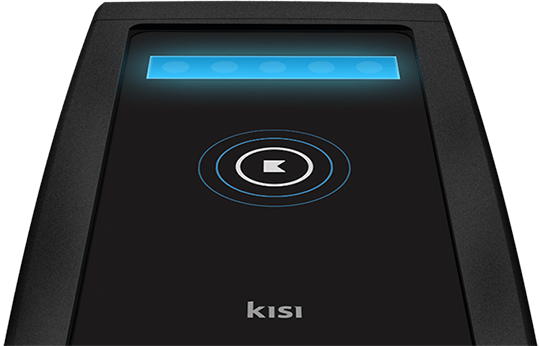 For this reason, the card reader is integrated only with the DOP. Turnstile integration can be done to activate direct home oor call feature when a person passes through it. 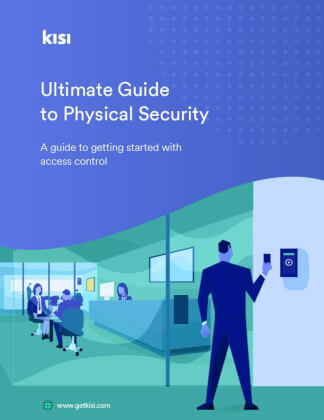 Access control systems can take pre-determined actions, depending on trigger status from external systems, and send triggers to external systems like security, fire alarm, video, and emergency systems. 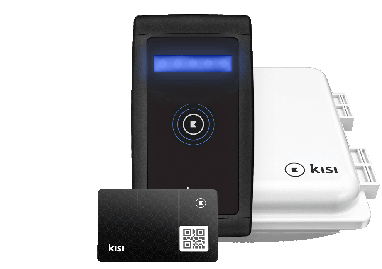 The card reader is typically connected via Wiegand input and the server is connected via TCP/IP or RS485. Wiring schematic of connecting Kisi's mobile access control to a Honeywell system allows for cloud-based elevator access control. 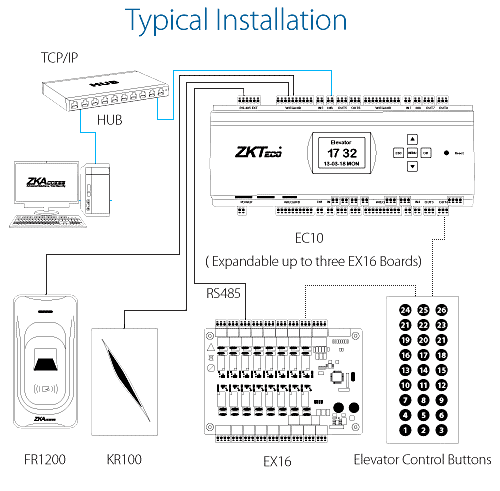 When it comes to the wiring diagram of your entire access control systems, including both doors and elevators, you can find more information in this article. Even for private elevators with private access, intruders are able to enter the elevator car with authorized passengers and ride to secured floors. This is because entering and exiting elevators with other people is completely natural, and rarely look suspicious. This problem intensifies with the busyness of the elevator. People rarely find it suspicious that a person stays on an elevator as they are simply thought to be continuing to another floor. This often allows the intruder to access to his desired floor by waiting until someone calls the elevator the desired floor. Most access and elevator control systems are one-way only. This means to say that feedback is not provided when a floor selection button is pressed. Hence, when one who has multi-floor access rights uses his card, the buttons for all authorized floors will be activated and remain so for several seconds after his card is used. This allows a second person to "piggyback" by selecting a secured floor immediately after the authorized person has used his card. For obvious reasons, elevator security controls are over-ridden when the elevator is placed in "Fire Service Mode". Unfortunately, these are often the same between elevators of the same brand, or within a specific geographical area. This entails that anyone having a fire service key to any elevator will have access to all floors. To make matters worse, most fire service keys are also easily available for purchase. Don't count on access controlled elevators to provide a high level of security as it can be compromised in many ways. This means elevators should never be used as the only way of controlling access for high-security areas. An addition to access controlled elevators will be barrier walls between elevator lobbies and interior areas on every secured floor. Although costly, this technique should be considered for high-security floors. Outputs from the elevator floor select buttons can be connected as inputs to the access control system. This means an immediate reset with one press, preventing a second user from capitalising on the first user’s card swipe. 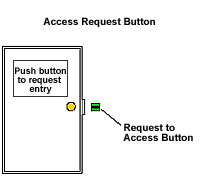 This also permits the access control system to know which floor select button was pressed when a card was used, allowing more accurate activity reporting. In training sessions, educate employees to not give unknown people access to controlled floors and to immediately report any suspicious person. Request for a dry-contact output from the elevator control system that closes anytime that the elevator is placed into Fire Service Mode. This output should be connected as an input to your access control or security management system so that relevsnt authorities are immediately notified when any elevator is switched to Fire Service Mode. Have video surveillance cameras at all elevator lobbies and in each elevator car. In this way, suspicious activity can be monitored and recorded.